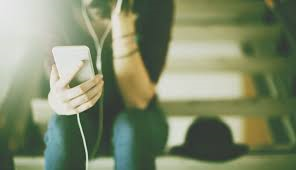 In this guide you will find a list of websites which provide the best mental wellbeing podcasts and audio guides: to help people who are feeling low, anxious or depressed. The NHS provides some of these best audio guides. Mind.org.uk provide a list of podcasts related to mental health and wellbeing from people who have had to live with mental health problems. Mentalhealth.org.uk hosts a plethora of podcast interviews. Their regular podcast feature interviews with a number of interesting people involved in mental health, including people who have experienced mental health problems, campaigners and mental health experts. Mood Café promotes mental health through their podcasts. There are lots of podcasts available through the BBC Radio 4 website and we recommend listening to the 'How you can feel less lonely' series. What is an in-app purchase?